Want to feel the Jungle adventure and feel as if you are jumping like animals from here and there? 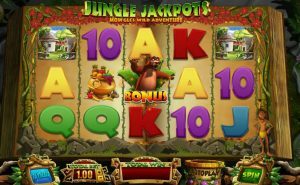 Try your hand at this very awesome and super fun game- Jungle Jackpots developed by Blueprint Gaming. You will be drawn back to your early childhood days as you will meet the very admired and yearned for cartoon clip from that age. The adventures of Mowgli based on the Jungle Book by Rudyard Kipling. Blueprint Gaming is a UK based developer and is a part of Germany’s Gauselmann Group. The strategy team of Blueprint is trying to introduce slot games based on a familiar theme as they have done for the Jungle Jackpots. This instantly gives the players an urge to play. It is also giving the marketers unique marketing opportunities. 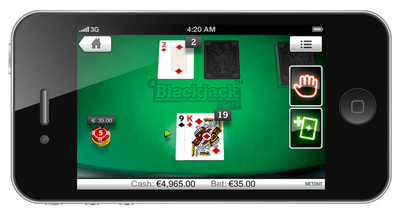 Blueprint Gaming has created many such thrilling games, both offline and online slots for the global casino market. The 5 reel set is built in a Jungle environment over flickering pages of a book that awards Jackpots, rightly giving the name- Jungle Jackpots. It has 20 paylines. Each game’s character has something or other to gift to the player. For instance, if you find the elephant stomping in the middle of your reels, up to 4 reels will instantly turn to wild. Also, if you find the monkeys climbing above the reels, they can pull them up to reveal wild symbols stacked. There is also an exciting bonus feature offered by the Kaa or the wild of the game. When it locks in its place, it gives the player an option to choose from 3 baskets, each yielding a different kind of bonus which could be either a free spin or extra wilds appearing in the slot. One of the baskets can also end the game. 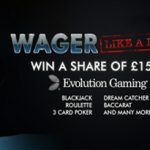 The betting range starts from £0.20 and goes up to £500 per spin. The symbols used are mainly the game logos, along with flaming torches, fruit bowls, and wild footprints. Among the other bonuses offered are the Baloo’s Mystery prize and Bagheera’s Hot streak. You can also win a cash prize of up to 1000 times your bet amount through Mowgli who keeps swinging on an apple tree, and any of the apples randomly reveals this cash prize. You can also put this cash prize at stake if you aren’t too satisfied with this prize. However, this might also lead to losing your already earned prize money. Jungle Jackpots is the right stop to quench all your gaming thirst. Almost all the games by Blueprint Gaming have won many accolades as their design team is continuously striving to push creative boundaries in the creation of such slots that are beneficial for the casino operators, and are entertaining for the players at the same time. And they have done a brilliant job with Jungle Jackpots.